Last couple of days I've been working on improving the Joypad Mod. I'm happy to announce that the version 0.10 is ready for testing. I've tackled the problem of menu navigation. The first working solution is included in 0.10 - up and down buttons on the D-pad allow you to navigate through the list of all buttons on the screen. Nothing fancy, but allows you to make your way out of the main menu, bed and death screens. Still have some work to do to make the list navigation functional - so that singleplayer and multiplayer screens function properly. 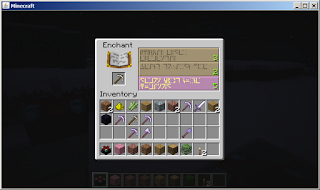 I've fixed the inventory in the Creative mode. It's not super handy, but usable at least. I've also included the shift-click functionality (button number configurable in options.txt) which should make the navigation in container screens a bit faster. 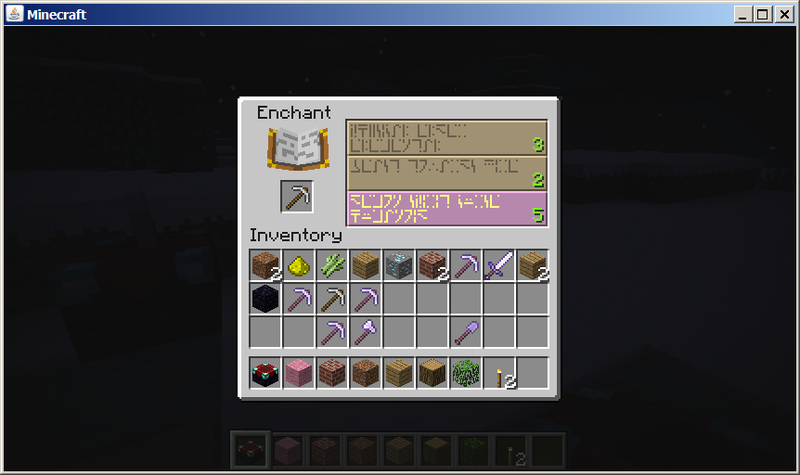 Quite some time was spent to make the Enchantment table behave acceptably. Since it includes a grid of slots and custom controls for crafting, I applied a considerable amount of conditional 'glue' to make everything appear remotely consistent. The people which had the problem of uneven camera sensitivity tied to the varying FPS might be interested in the new experimental option which can be turned on in the options file to make the camera controls independent of the FPS. It's turned off by default as it sometimes require you to enter the world twice in order for the controls to work (WTF). 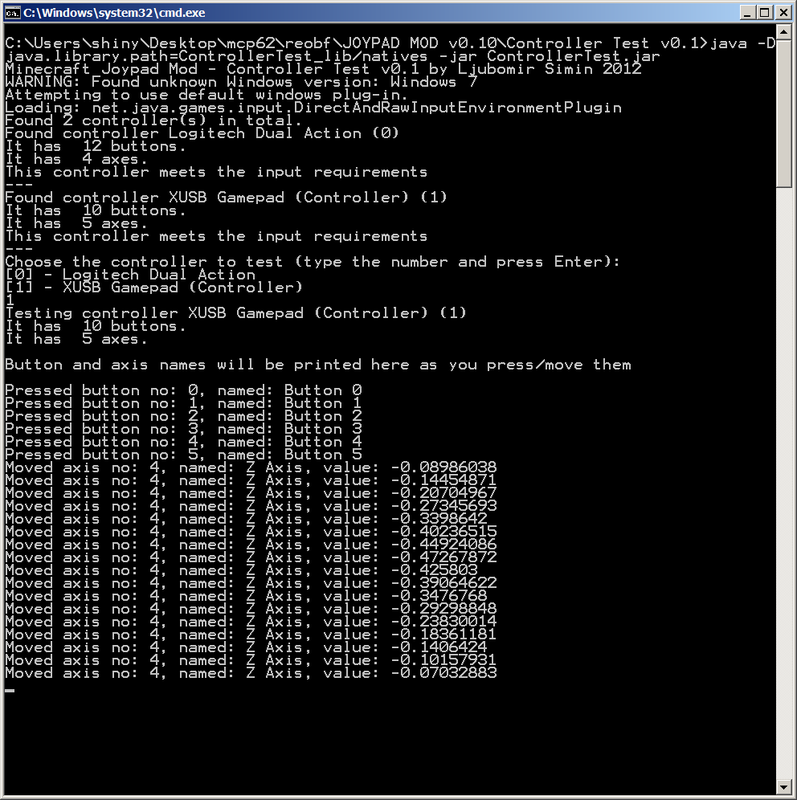 Last but not least, I've added the configuration utility which can be used to figure out the joypad and button id's. Might be handy for the people struggling with the configuration. In the future I can turn it into a config file generator if such need arises. For now it only displays the id's of the controls you press. I have still not worked on the solution for the triggers on the XBox 360 controller. Have to leave something for the next release ;). [add] added navigation map for Enchatnment Table. Player should be able to operate it now. [add] added a menu navigation (works on buttons, still doesn't work on lists though) - this makes a main menu, death screen, bed screen usable now. Only up/down d-pad button are used, so it sometimes looks funky, but works. [add] added experimental constant-camera-movement mode. It makes the camera movement independent of FPS. It should help the people for whom the camera sensitivity skyrckets after the world fully loads. Turned off by default, as it sometimes requires you to enter the world twice for it to work correctly. 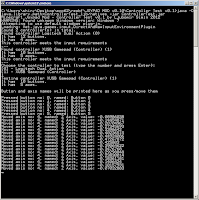 The config file option is named "useConstantCameraMovement"
Download from here: Minecraft Joypad Mod v0.10.